← A bewitching offer is available to good little boys and ghouls this fall. 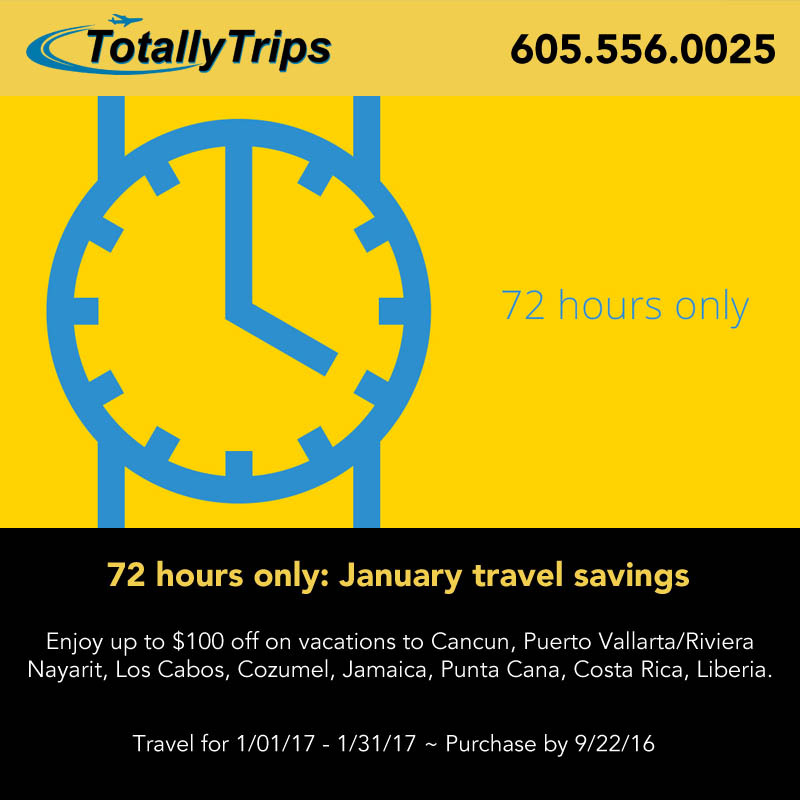 72 Hour January Travel Sale: Save up to $100 Off! This entry was posted in Destination Weddings, Family Vacation, Honeymoons, Jamaica Travel, Memories, Mexico Travel, The Best Time to Travel, thirsty thursday, Vacation and tagged 72 hour sale, all inclusive, anniversary, cancun, cozumel, destination wedding, honeymoon, jamaica, january travel, Liberia, los cabos, puerto vallarta, punta cana, riviera Nayarit, travel, trip, vacation. Bookmark the permalink.